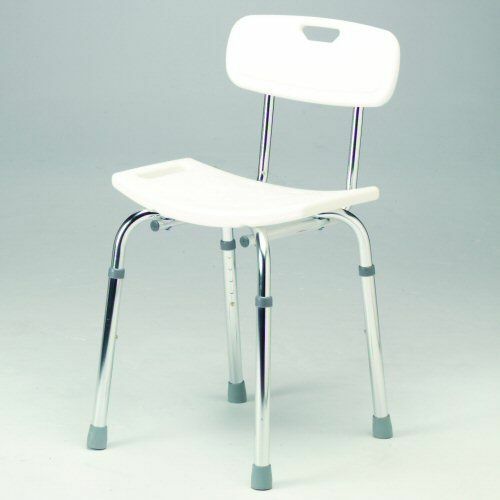 A lightweight shower stool with backrest, this model is easy to move from place to place. The legs are adjustable so you can make it just the right height. The anodised aluminium frame will resist rust and corrosion and it comes with anti-slip, non-marking rubber feet for added stability. The moulded plastic backrest and seat are easy to keep clean and textured to reduce slipping. This is a simple, budget-conscious shower stool with all the right features. It will improve independence and bathroom safety without breaking the bank. Nice and lightweight to move around , yet strong enough to make you feel secure when using in the shower.